How do we know the sites related to Jesus are authentic? Didn’t the truth of these places get lost in the mist of history? Is the Bible really historically reliable? Recently I did an interview with Tim Staples of Catholic Answers about the reliability of the Bible, the proof of archaeology and the authenticity of the sites. 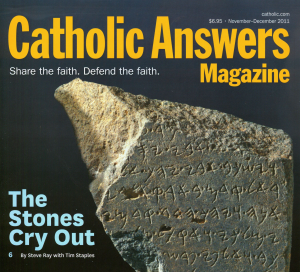 The article is entitled The Stones Cry Out: How Archaeology Proves the Truth of the Bible. Click here or on the image to the right to read the article and see all the pictures and illustrations. Join us in the Holy Land!! To see our upcoming pilgrimages to the Holy Land, visit www.FootprintsOfGod.com. 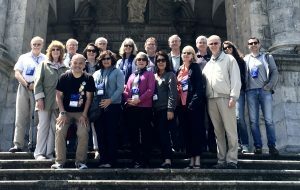 We have trips going to the Holy Land, Rome, Poland, Lourdes & Fatima, Guadalupe and a Cruise following St. Paul through the Mediterranean and more. 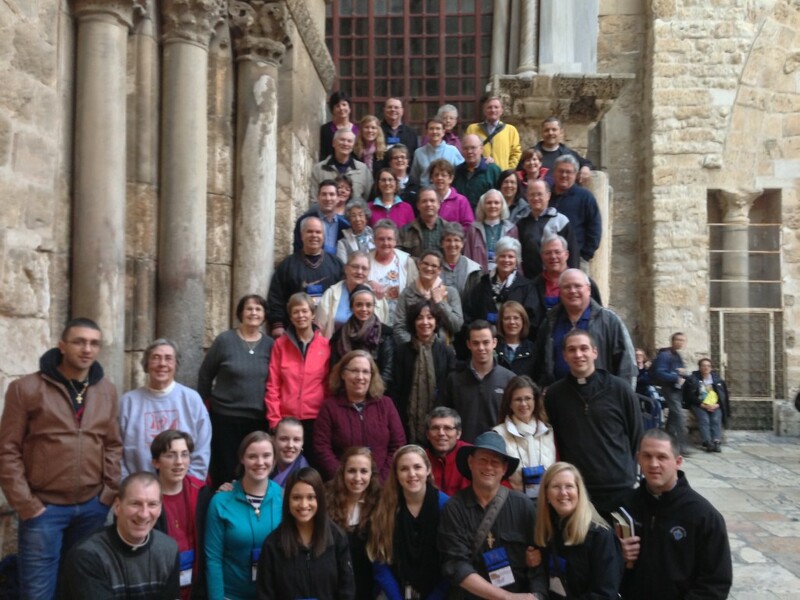 We have only two seats open for our January 28 departure to the Holy Land. We also have trips on February 28, April 21, May 1, and more. One of our groups on the steps up to Calvary at the Church of the Holy Sepulchre (it is perfectly safe to visit the Holy Land). Contact Suzanne at 800-727-1999, ext 121 or sparran@ctscentral.net for more information.